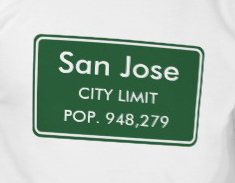 Click Like if you like being notified of important San Jose information! Click here to join the Facebook Group for your area of San Jose. VOICE YOUR OPINION REGARDING THE 2016-2017 NEIGHBORHOODS COMMISSION WORK PLAN! Take this survey before 11:59 p.m. on 10/7/16: What should the San Jose Neighborhoods Commission work on in the next few months? The Neighborhoods Commission will consider the items in question # 1 at their next meeting in October 2015. Make sure your voice counts! On October 12, 2016, the San Jose Neighborhoods Commission is scheduled to discuss its Work Plan for the period ending 6/30/17. The Commission includes two Commissioners per each of the City's ten Council Districts. Your feedback will be provided to the Commission's Chair and Vice Chair for distribution to all Commissioners. The Neighborhoods Commission is the only City Commission that provides input DIRECTLY to the City Council. Past recommendations have included topics such as illegal fireworks, the police drone, and the homelessness situation. The Commission is currently deciding what topics it will tackle in the next few months. 1. Required: Please select five items that the Commission should prioritize. Council Policy 6-30; Development Noticing: "dissemination of information related to development activity"
2. Required: What is your email address? Responses without a valid email address will be discarded. 3. Required: What is your zip code? Only responses with valid San Jose zip codes will be included. Responses without a valid zip code will be discarded. 5. Optional: What is your name? 6. Optional: Would you like to receive the results of this survey and other important information, via email? 7. Optional: In which City Council District do you live?